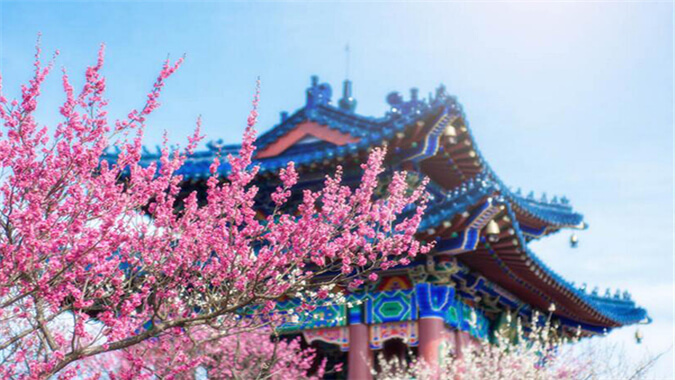 Nanjing Meihua Mountain is the only one is located in the world heritage scenic spot in the plum Resort and the eight tours may resort, regardless of is in Mei sik, the history, scale, quantity and variety of parallelism, called the ringleader, known as “Tianxiadiyi Meishan. Plum Blossom Festival is held by the Nanjing Municipal People’s Government spring first state-level large-scale tourism festival celebration, enjoys a high reputation at home and abroad, currently has developed into Tanhua financial sightseeing, leisure entertainment, song and dance performances, cultural exhibition, trade exchanges is equal to one of the city’s Carnival Sheng will be. Venue:Zhongshan Mountain Scenic Zone,Fujiabian,Pearl Spring,Gulin Park,etc. What’s On:With “plim blossoms” as the theme,various activities are held during the festival,such as the parade of decorative carts,theatrical performances,the Plum Pen Club,the photography competition,economic and trade exchange activities,and “making friends with flowers as the matchmaker”.